Since spring is about to come to an end and summer is just around the corner. Most of us are probably out and about/ free for the summer. What better way to spend your summer than watching some to good hearted romantic comedies, right? Since I've never done something like a "top ten list" before on my blog, it would only make sense to make my first top ten list about my top ten favourite anime couples. This list is based upon my preferences, so don't get discouraged if you do not see your favourite anime couples on this list. I hope you enjoy this list and if you think I should have listed an OTP that should be on this list, leave it in the comment section below! First on the list are two extremely talented artists. 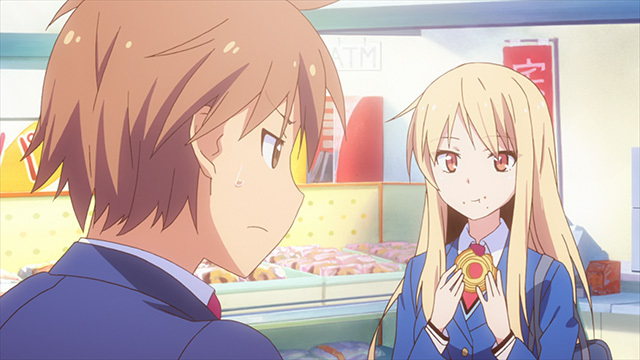 Sorata was enlisted to take care of Mashiro, however as time went by his duties became less of a chore and both of their feelings for each other began to grow stronger and stronger. I know in the anime they have not been officiated as a couple yet, but it's obvious that it's bound to happen. 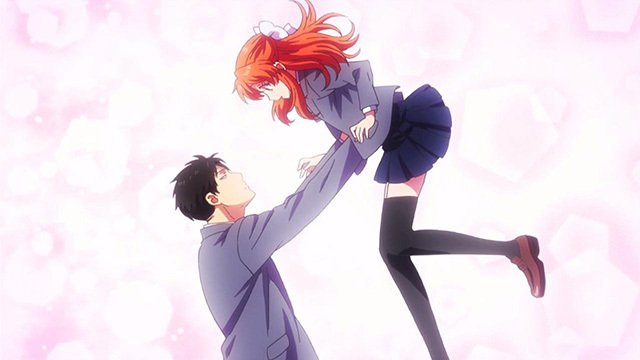 Taking the number nine spot on the list are Umetarou Nozaki and Chiyo Sakura from Gekkan Shoujo Nozaki-kun. What happens when you confess your feelings to the one you love but the other party is a complete air head that they can't seem to comprehend the proclamations of love? At first I thought, "oh no this better not be something like Itazura na Kiss." But no (thankfully), you get an anime following the comedic dynamic of these two. Again now I know these two aren't a couple.....yet in the anime; but I'm sure it's going to happen if this anime gets a sequel. Fans of this light-hearted school mystery have been dying to see these two as a couple. 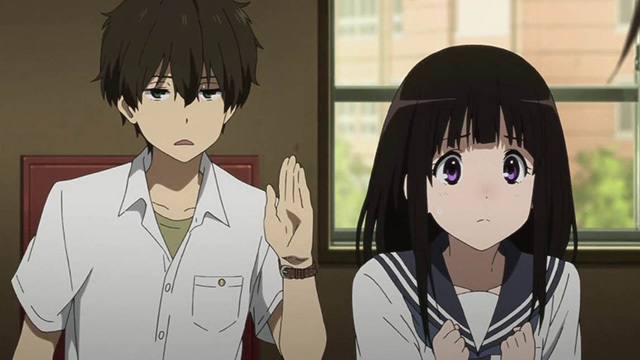 Although Hyouka is not a romance, it doesn't mean that fans can dream about these two being together someday. I'm curious if there would ever be a second season of this anime, and if ever will the creators of this manga give what the fans want. Did you see what I did there? haha. There's nothing like not being able to confront the feelings you have to someone that has tunnel vision towards playing karuta right? 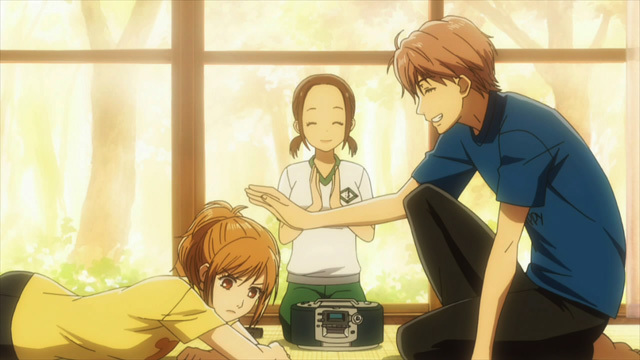 How unfortunate for Taichi and his bottled up feelings for Chihaya. It took two seasons for Taichi to finally have the guts to show his love for Chihaya and just when we thought he was about to shout from the top of the mountains that he loves her, there's 1 minute left of the second season and fans are left stone-cold with empty hands. Thank you Madhouse for snaking us. Where on Earth is season three?! 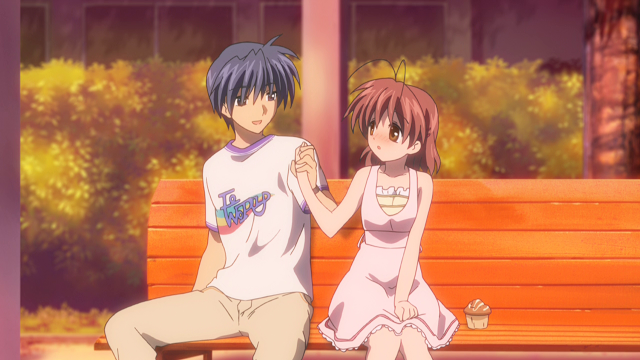 If you watch anime, it's a rite of passage that Clannad and Clannad After Story must be seen before you become and avid anime watcher. So if you've seen more than 20+ anime so far and have not seen this one, stop what you're watching now and watch this! Sorry to disappoint you Clannad lovers but these two didn't take the top prize as my number one couple. Although the story of these two is charming I thought other couples withstood the litmus test of love better than these two. Is this anime just another typical shoujo? Maybe, probably, yes. I've always said this about shoujo anime, and that is what separates all of them from one another is the comedy and dynamic between the two lovers. Ritsu is a shy girl with no feelings towards her lover. Whereas Usa loves Ritsu but is too shy to show his love towards her. The anime follows the dynamic of these two living under the same roof along with other bat-crazy people. By the end of the anime we see a glimpse of a possibility of these two ending up together. Usually I'd get upset when obvious pairings are not paired together by the end of an anime, but for some reason I was okay with it not happening in this one. What happens when the most popular guy in school likes the utmost least popular girl in school? I guess you get a lot of haters that want to have a scarlet letter on you at all times. Kimi ni Todoke explores this almost never in real life possibility and delivers a success to fans who love a great shoujo. The awkwardness of Sawako is just pure liquid gold and a source of good laughs, coupled with Kazehaya trying to swoon her over makes it even more enjoyable to watch. 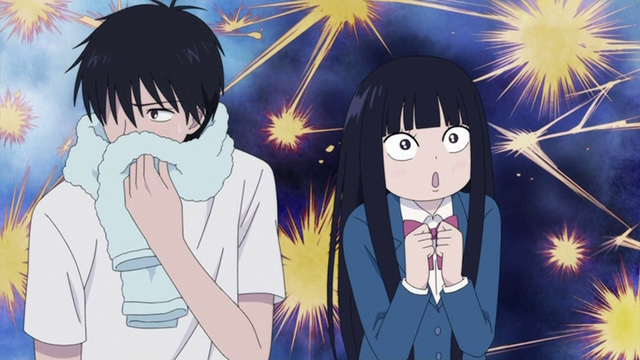 Sawako and Kazehaya are the holy grail couple of shoujo anime, don't ever disrespect these two! If you're asian you were probably forced to play the piano and learn endlessly insomnia-curable classical music. If you were you will love the dynamic Chiaki and Nodame have towards each other while listening to some reminiscing classical music. 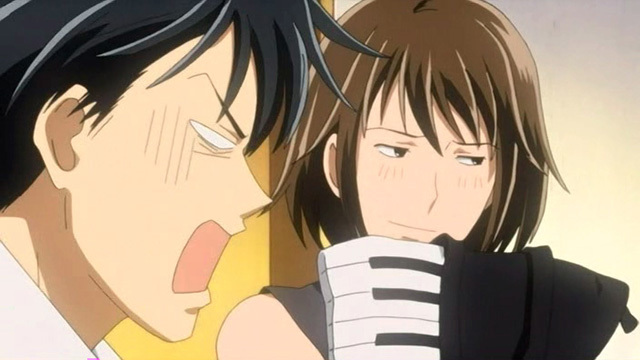 Nodame is a complete klutz when it comes to playing the piano where as her counterpart Chiaki is a gifted musician. It's always fun to see the ditzy and very composed come together am I right? Well if you agree/ have already watched everything from this franchise, you would understand why these two made it into the top three. Runner up for best couple is Shizuku and Haru. If you have not seen Tonari no Kaibutsu-kun, I'd suggest you watch it. And for those who have seen this anime, how could you not put these two somewhere on a top ten anime couples list? Tonari no Kaibutsu-kun follows a cold hearted girl named Shizuku who seems to have no interest what so ever in Haru Yoshida. Over the course of the anime we see Haru trying to win Shizuku over with the overload of charm and cutesiness, which inevitably works in the end. 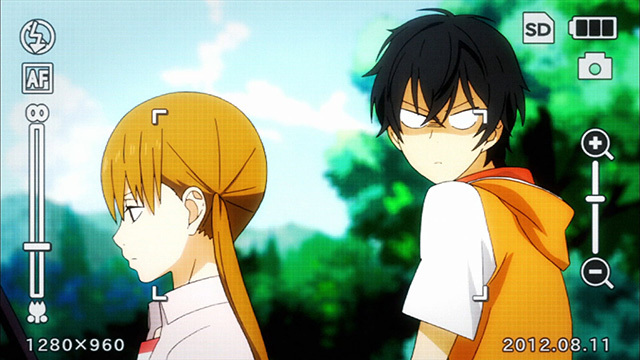 No matter how many times Haru gets shot down by Shizuku, he keeps going at it. Good for Haru! My ultimate one true pairing. 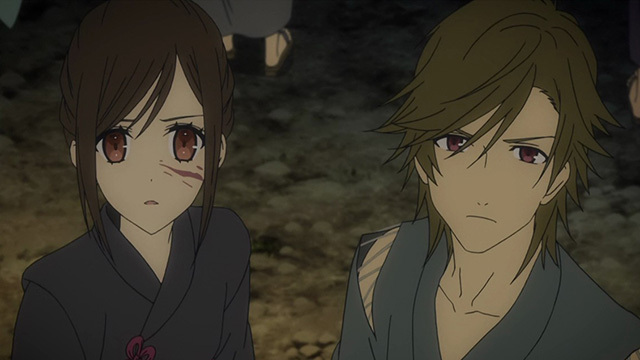 Sorry shoujo fans or people who love a great love story, Shinsekai Yori is anything but a love story. Shinsekai Yori happens to be one of my all time favourite anime, the anime follows a group of friends trying to survive in a corrupt world where only Saki and Satoru end up are the survivors of their inner circle. 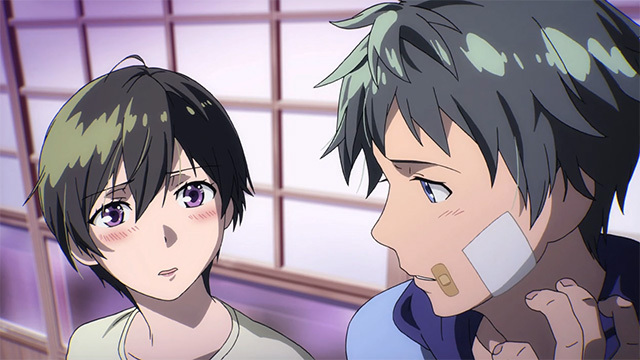 Unfortunately these two are not seen as a couple for 99% of the anime, but as a viewer I really enjoyed the companionship these two had towards each other when times were tough and the tight and during grueling situations they found themselves in. None the less, people come and go in life but love and companionship can last till the very end, which is what Saki and Satoru are able to show people. That's it for this list. If you enjoyed or did not like the pairings that are listed in this top ten list then please provide me with your top ten couples or couples who should have made the list in the comment section below or you can tweet me at animedecoy! Thanks again for reading. What about Asuna and Kirito, from Sword Art Online. Haha, I wasn't a big fan of SAO. But they're a good couple, just not in my top 10! And Natsu & Lucy (Fairy Tail) Their an awesome (but no official) couple! Natsu & Lucy are awesome ! What about Germany and Italy? lol I haven't seen that anime! Didn't mean to log into my husband's... Usui* Yuki & Zero. So the () are the names of the anime? lol, they're cute but not one of my favourites.